Of all the regions of New Eden, the lowsec areas of Black Rise and The Citadel combined embody the infamous ‘meatgrinder’ reputation of low security space like no other. Building upon its bloody history and the many great battles that have taken place there, it has become the prime destination for those looking for a good fight. Systems like Nennamalia, Kinakka, Innia, Okkamon, Tama and Asakai, amongst others, attract players from all walks of life and have all made the wider EVE press at some point. Step on the Lowlife sightseeing bus as we take a tour of this devil’s cauldron and talk to some of the locals. The main ingredients that make up this potent brew are established pirate corporations and the Caldari and Gallente militias. Outlaws have hunted in the area for years and know it like the back of their hand. Meanwhile the militia wage endless war, the pendulum grinding ships into dust ever since the inception of Factional Warfare. 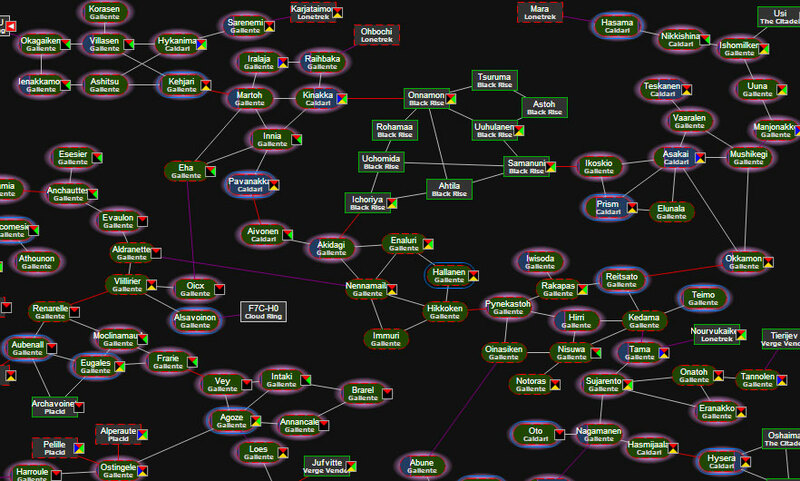 Their paths cross in bloody conflict, igniting shiny red blobs that attract the attentions of nullsec entities like moths to a flame. Ever since the Gallente for all intents and purposes ‘won’ the war in Placid, Essence, Black Rise and The Citadel, the PvP meta has changed. Whereas fights between the militias – with a liberal helping of pirates or neutrals thrown in the mix – used to be the standard, it has gravitated towards a new blend. Although it looked like the Caldari in Black Rise would be reinforced by former Nulli Secunda members, now Bohica Empire, in a recent development the alliance deserted CalMil to join the Gallente. While accusations of opportunism and greed have been leveled at the turncoats from both sides of the fence (with the Gallente currently enjoying tier 4), Bohica themselves state that they intended to join the Gallente initially, but chose the Caldari for practical reasons. After proving their mettle in the battle of Huola during a series of key fights, a schism between Bohica and the wider Caldari Militia became the catalyst for them to leave, purge disruptive elements, and join the Gallente. While some welcome them with open arms, they will not win the hearts of all ‘frogs‘ until they bleed for the Federation. Besides GalMil, the fights of late are more often headlined by the likes of Snuff Box, Overload Everything, Shadow Cartel, SniggWaffe and Pandemic Legion. The remnants of the Caldari play a much diminished role as only the hardest core of the militia trudge through dire straits with gritted teeth and a sliver of hope for the future. Although it is Gallente territory and not for any lack of trying, the frogs often find themselves outgunned when the heavyweights field larger fleets and capitals. In many ways it represents a clash between null and Faction Warfare PvP meta, for which the Gallente do not have a complete answer to yet. There is an urge within some elements of the militia to step things up and truly claim the territory, but the lack of any command hierarchy, as seen in the alliances and coalitions of null, may put a stop to such aspirations. The constitution of Federation forces resembles free states with similar goals, but no ruling body with executive powers. However the chips may fall with the current state of affairs, some things never change. 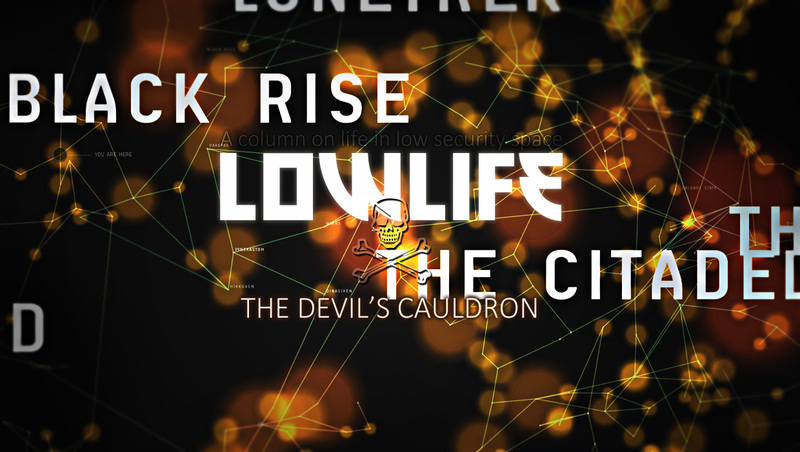 Black Rise and The Citadel are the essence of the lowsec ‘Thunderdome’, and will continue to live up to that legacy for the foreseeable future.